We recently took a trip to Venice to celebrate a friend’s birthday and rented an apartment in the Dorsoduro district for the week. This area is a little way from the popular tourist destinations though nothing is that far away if you don’t mind a little walking. Vicky and her family arrived a day later, which meant I could document the arrival by water taxi. Luckily we chose a week that gave us warm, sunny weather and reasonable night temperatures, so as well as taking photos of our daytime excursions I took my camera and tripod out for some night photography. I used a Canon TS-E 24mm tilt shift lens for these pictures sometimes making use of it’s ability to take panoramas by moving the lens from one side to the other. As luck would have it, in addition to the reflections in the water, which can really enhance night shots, the moon appeared on cue for the pictures taken along the canals near our apartment. 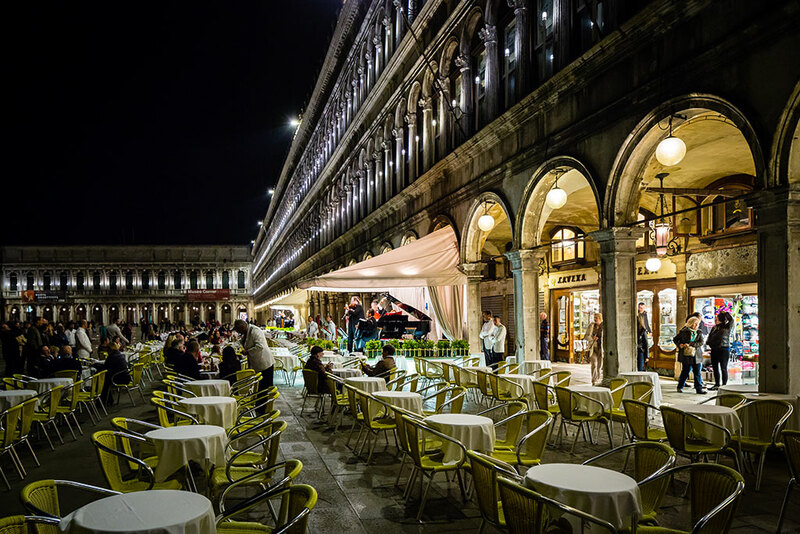 My experience of Venice is that it is a safe city to take photos at night and any people (or rodents) I encountered, either ignored me or were interested enough to watch and see what I was up to. One of my favourite pictures, taken from the Rialto Bridge, made a perfect cover photo and demonstrates how night photography can give a new slant on a very popular view. Those of you who have visited Venice will also realise that setting up a tripod is also a lot easier at night on the Rialto Bridge. Back in London I put these and other photos into a book for Vicky using Adobe’s inDesign software and the plug-in from the self publishing website Blurb! to remind her and us of a happy birthday trip. Even if you have no experience of self publishing a book, Blurb, Bob’s Books and other self publishing book companies offer a variety of ways to get your work turned into a hard or paperback book and the results can be amazing. 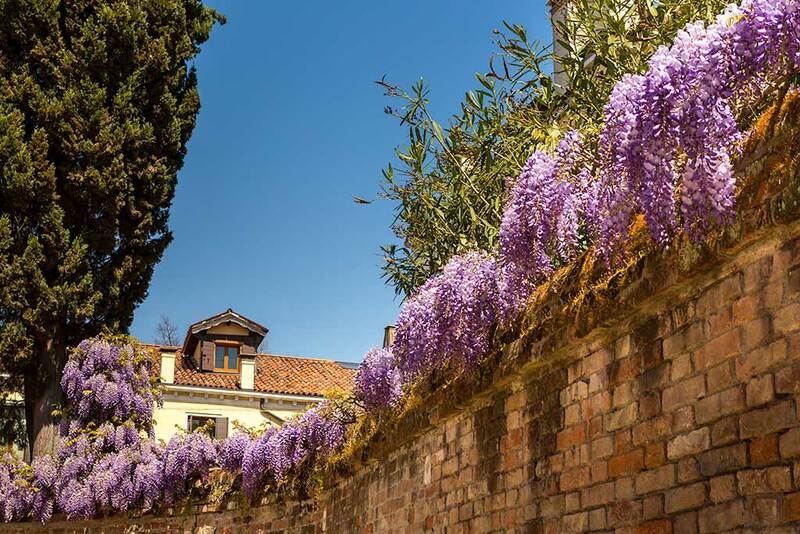 Of course being May the Wisteria in Venice was looking spectacular.